Marinade, marinate, and macerate are three similar sounding culinary terms, with three very different definitions. These three terms are often confused. I’m going to explain the differences to you. (Disclosure: this post contains affiliate links for your convenience at no additional cost to you.) Note; This was one of the first posts I published on my website, on June 3, 2011. Essentially, marinade is a noun and marinate is a verb. You marinate the meat in a marinade. The basic idea of a marinade is to tenderize a tough cut of meat, or just give it flavor. Depending on what “country” you want to travel to, you can add herbs and spices. Cumin is found in both Mexican and Indian cuisines, add cinnamon and allspice for a Middle Eastern twist. 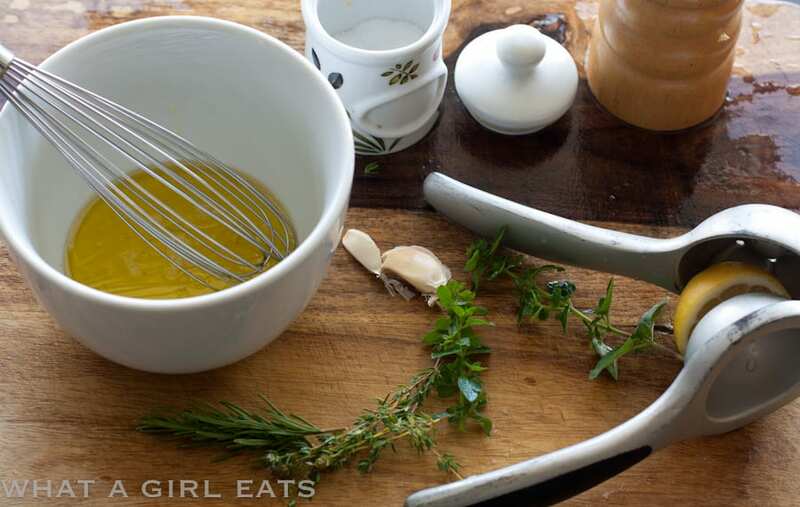 My favorite marinade is Greek inspired; with lots of garlic, oregano or rosemary, lemon juice and olive oil. I use it on Greek Chicken, lamb, beef, pork or shrimp. It’s also my go-to recipe when I’m doing a round of Whole30, as it’s compliant with the diet. It’s also gluten free and low-carb, making it perfect for just about everyone! 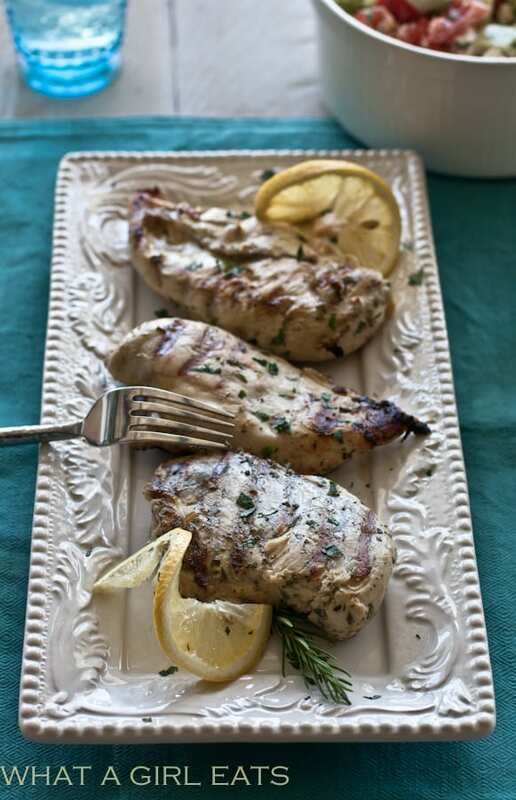 Grilled Greek Chicken with Lemon, Garlic and Fresh Herbs. The amount of time you marinate meat generally depends on what you’re marinating. Shrimp or fish need the shortest marination time; anywhere from 30 minutes to an hour. Chicken can be marinated for several hours, and beef does best if marinated overnight . 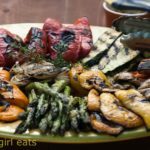 What can I use in a marinade? As long as you have something acidic, like wine, citrus juice, or vinegar you can make a marinade out of just about anything. I use this lemon juicer when I’m juicing just a lemon or two. I often do meal prep and prepare a double batch of marinade. I pour the marinade over my shrimp, chicken, beef or pork and then freeze in zip lock bags. As the meat defrosts, it will continue to marinade. The term macerate is applied more to fruit, and the term infused gives a good idea of what macerating does. You can macerate fruit in alcohol and sugar, herbs (lavender, mint), to infuse the fruit with flavor and throw it on top of ice cream for an elegant dinner party dessert. Try Strawberry Fool or Lemon Posset for desserts using macerated fruit. 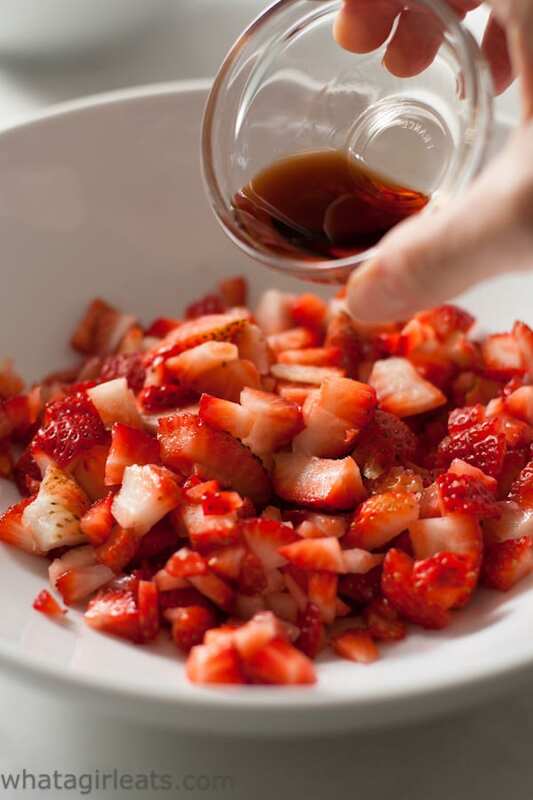 Macerating berries in liqueur and sugar. Whenever possible, I give measurements for the ingredients in my recipes, but what I like about cooking, as opposed to baking, is the lack of precision needed. I just add the ingredients until it “tastes right”. What’s tasty to my palate, might not be to yours. If my cheeks pucker, I add more olive oil. 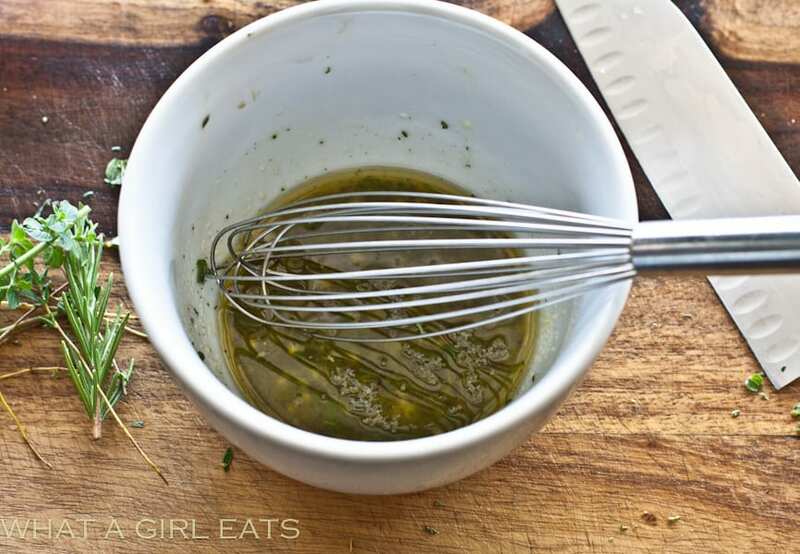 Lemon, garlic,olive oil and fresh herb marinade. Whisk it all together. Taste and adjust seasoning. It should be flavorful like salad dressing. Marinate chicken 20 minutes to several hours. Shrimp marinates for up to 1/2 hour. Beef, lamb and pork can be marinated overnight. Timesaving tip: pour marinade into a zip-lock bag with meat. Freeze. While meat defrosts overnight, it will also soak up the marinade and be ready to cook. Bake, broil or BBQ meat as desired. Note about kosher salt. Buy some, it’s cheap. Use the Morton’s for baking! Keep it in a little ramekin next to your stove. The only marinade you’ll ever need is whole30 compliant, gluten free and low-carb. I love fresh marinades and this sounds perfect. Bet it would be great on lots of things. This recipe is perfect for us because our lemon tree is overflowing right now. No, you can’t lemon and garlic are a perfect match! That is such a lovely marinade and I need different ones for tofu. I am really looking forward to taking advantage of this one.. Thanks! This would totally work for tofu Ginny! this is super helpful! I’m forever forgetting the difference between macerate and marinate! that marinade looks fabulous! Thanks for clearing up those 3 very different, but confusing terms! I also prefer a Greek type of marinade, love those lemon and oregano flavors! 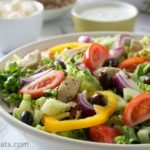 Greek flavors are great and their way of cooking is so healthy! Great explanation of these three terms! And the marinade sounds delicious! What a great post! 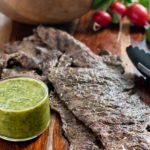 I did not know that you could freeze marinated meat, I will be trying this soon. It’s a great way to do meal prep! I had always wondered about freezing marinated meats – thanks so much for clarifying that! Awesome marinade BTW! Yes, I freeze meat all the time in a marinade. It defrosts perfectly! I’m always a little hesitant to trust a recipe where the author doesn’t know these terms, and I see it a lot! Great post to enlighten those who don’t know the difference. Love the marinade recipe! Yes that’s true. I see these terms confused all the time! My favorite way to make an inexpensive cut of meat seem like it’s top line … marinade and grill. Sure makes a difference on those pieces of beef! I agree! I like to use red wine wine vinegar for beef. Yes, a lot of new cooks confuse these terms. 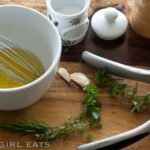 Such a helpful post for beginner cooks. Great marinade recipe too! I think a lot of newer cooks confuse those terms. 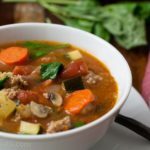 I love your explanations, and the recipe is great! I love the ones that are versatile for many different things! Thank you! And it’s so easy and healthy too! Great advice, although I thought berries were macerated only with sugar? I’m not challenging you, i just think the sugar itself is what creates the juice. Who know?!!! I made pickled vegetables yesterday and put a ton of salt on jalapenos and carrot slices. After one hour there was a ton of juice! Yes Mimi, sugar is definitely part of the maceration process, but liqueur can be used in addition, especially for a dessert preparation.